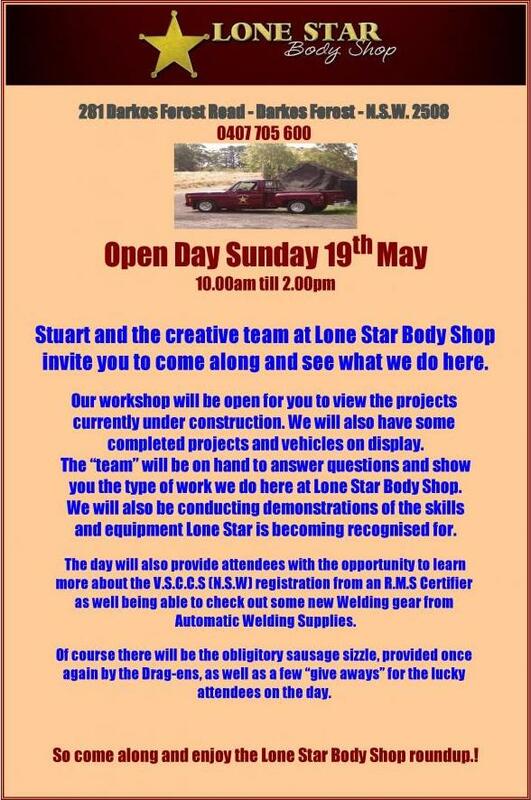 The team from Lone Star Body Shop are once again throwing open the shed doors. They’re holding another of their open days on Sunday 19 May, and it’s shaping up to be an absolute corker. 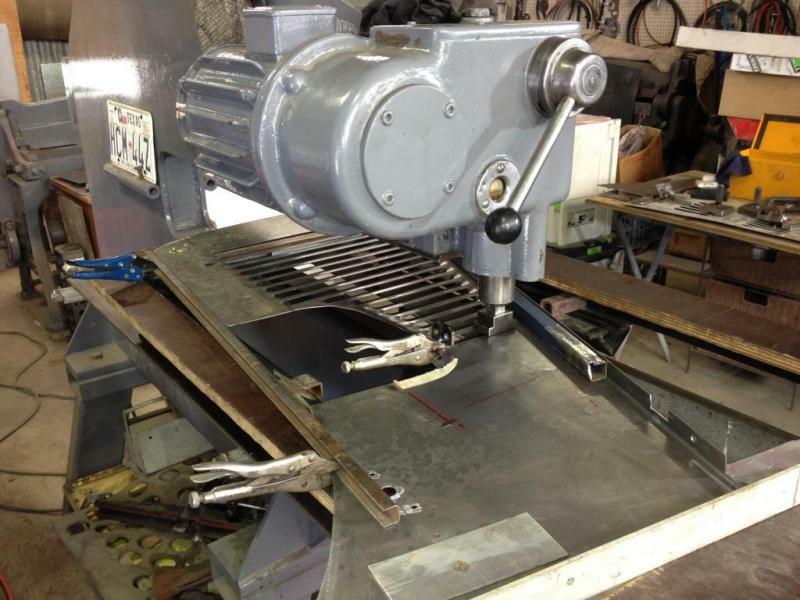 The day will feature metal shaping and metal working demos, talks about different projects in the shop, and a great impromptu show in the carpark. If you’re ever wanted to ask an expert for some advice or feedback on metal shaping, you’d be hard-pressed to find a better opportunity. I posted up some pics and a bit of a run down on last year’s event here, and this year’s day is shaping up to be even bigger. Click on the flyer below to see it bigger. 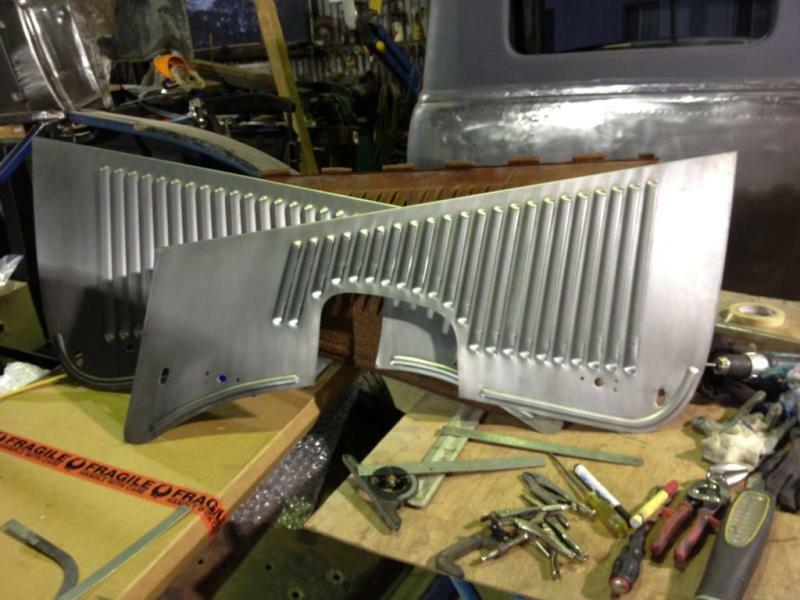 As an example of Stuart’s work, check out these ’34 Ford hood sides he recently made. 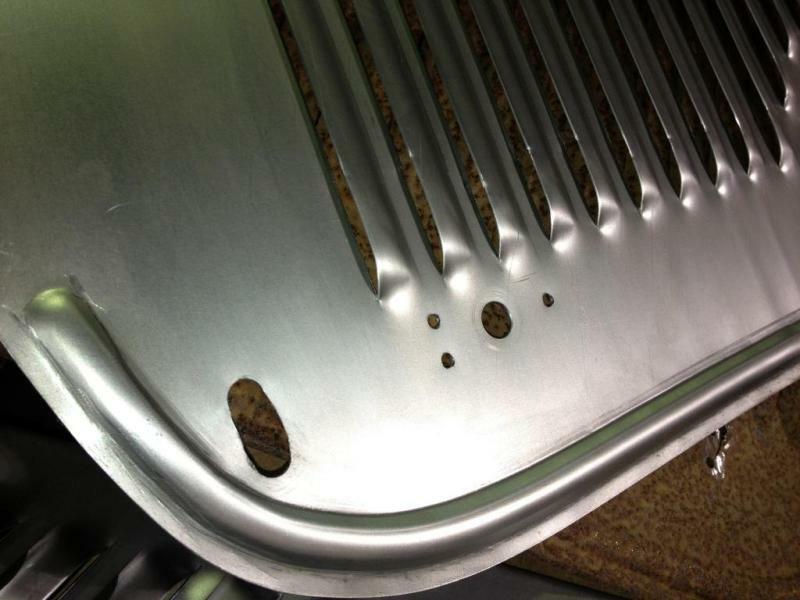 The customer posted the pre-made hood sides, for them to be reinforced, louvred, and receive a swaged edge. If you’re wondering what the relief cut is for, these will be going on a car with a blown hemi, so they need to clear the rocker covers! The blank hood sides ready for work. 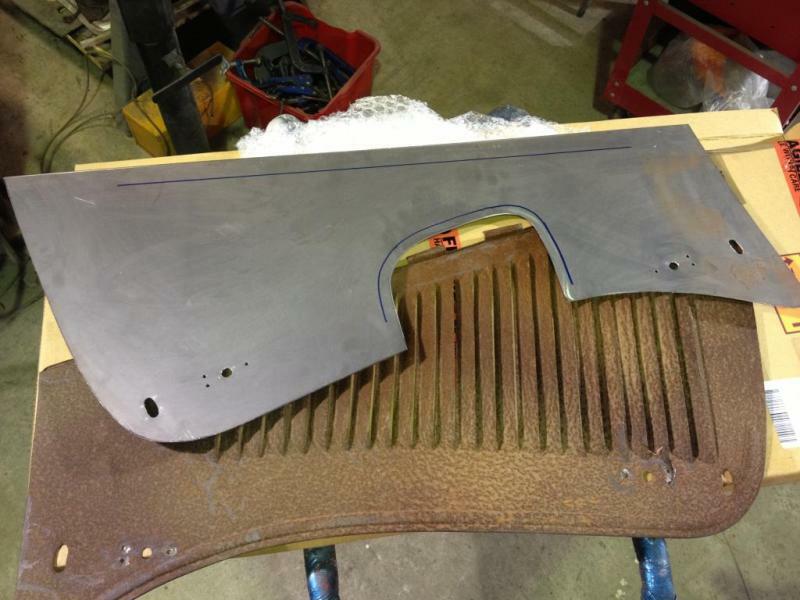 Careful measurement of an original hood side to replicate the factory offering. The louvres were run in the Pullmax, with fences used to determine the start and stop points. 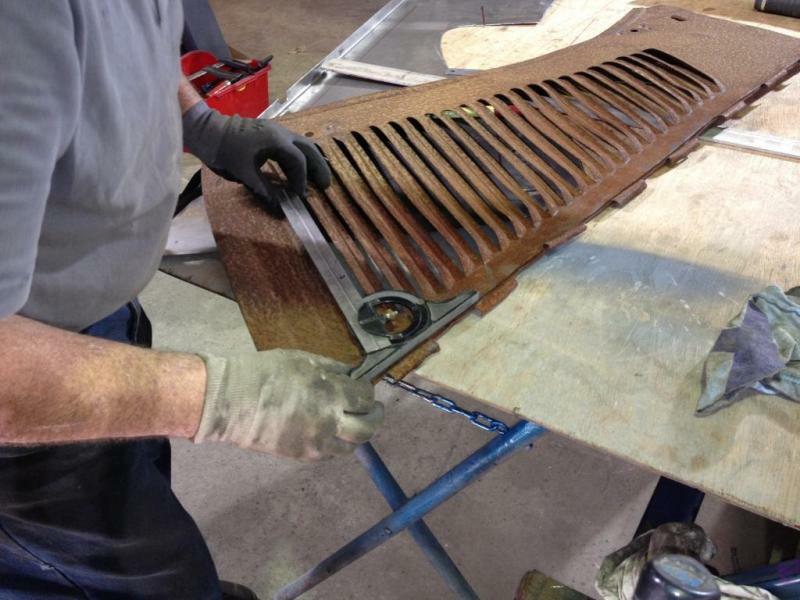 A reinforcing plate was spot welded to the inside, this will help to avoid stress risers at the end of the louvres. 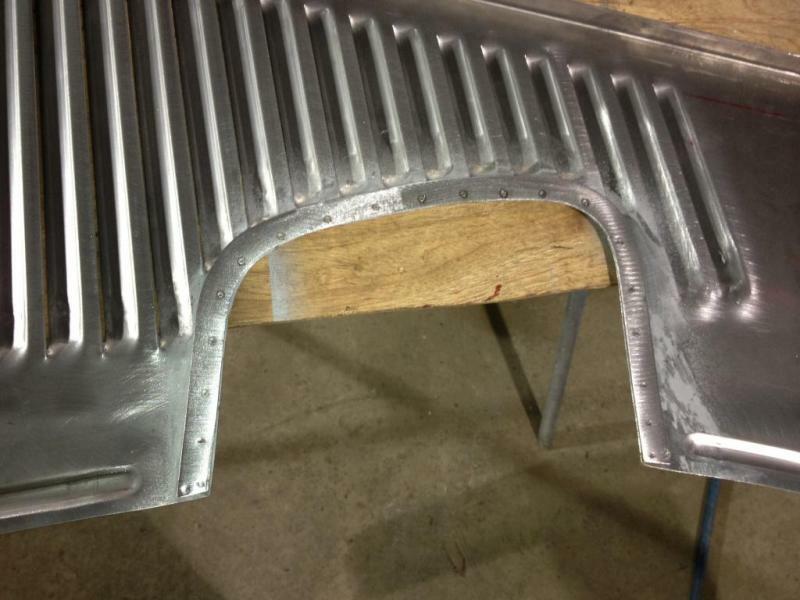 Some detail shots of the finished hood sides.